CHECK: Is a replacement parts warranty offered free of charge? CHECK: Is a DISCOUNT offered for repeat orders? CHECK: Is the delivery charge the same for Scotland, Wales and Northern Ireland? With Toiletsforsale.com, the answer is YES to all the above! We accept all major credit cards. Buy online with ease. 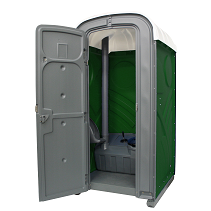 Are you looking for luxury toilet facilities for weddings and events?